Don't try to use ingredients different from the above, or you will waste money and time. 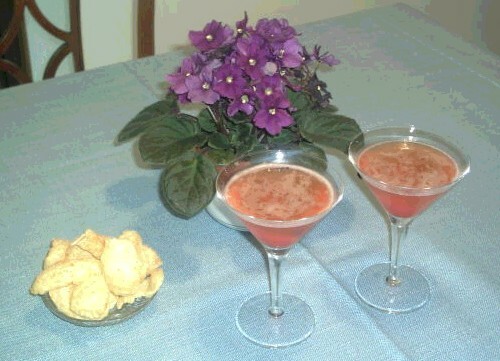 This recipe has been invented by Cesare Gentili a professional bartender that has been working several years at Centro Termale Fonteverde, a relaxing resort in Toscana, Italy, where my wife and I frequently use to go on weekends. Pour Aperol, gin and a sprinkle of strawberry syrup into the shaker, add ice cubes, shake well and serve into the same glasses used for Martini cocktail. Decorate with a fresh orange slice or a couple of candy cherries. Fonteverde breeze can be served with several green sweet olives, peanuts, chips. You can also use Pringles chips. It is recommmended to taste this cocktail directly at the border of a pool in a sunny vacation day.